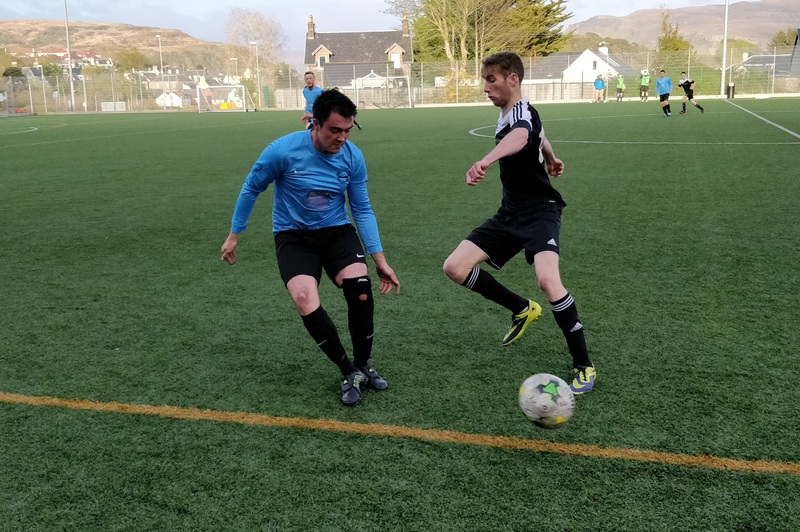 Northwest Skye recorded their second league win of the season courtesy of three second-half goals from Ben Nicolson, Gus MacDonald and John MacInnes in what was a strong performance by Graham Campbell’s team after the break. 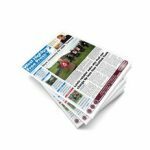 The home team showed patience and determination to overcome a fine performance by Glenelg’s goalkeeper Cameron MacDonald to move three points clear of their opponents in the league table. Both teams showed an appetite to attack right from the start in what was an entertaining and even first 45. Northwest’s first foray of note into their opponents half came through Gus MacDonald. The striker flicked the ball over Glenelg’s Ali Nixon and showed great strength to hold him off but placed his shot well wide. Iain ‘Baker’ MacLellan then tried his luck from outside the box but his effort was also wide of the target. At the other end, Corran Campbell played Alasdair Harvey in down the left and the forward squared the ball across the box but no one was up in support to connect with his pass. Northwest were making inroads down the wing with Ali Gillies finding space down the right-hand side, the full-back, in turn, whipped in a fantastic cross, but Cameron Campbell couldn’t get there in time to meet what was an inviting ball into the box. Northwest’s Ali Gillies battles with Liam Campbell of Glenelg. MacLellan proved to be a handful for Glenelg with his directness and fearlessness on the ball. The striker charged infield before releasing Iain Beaton, who sidestepped his marker with a neat first touch but was soon closed down by the away defence before he could shot. Meanwhile, Joseph MacDonald’s desire to break beyond the home team’s defensive line was giving the Northwest rearguard food for thought. With 20 minutes gone, the young forward almost found himself through on goal after Iain Beaton misjudged the flight of a long ball, however, Ewan Gillies’ was quick off his line to clear the ball away. Gillies’ wasn’t quite as assured a minute later when MacDonald’s willingness to put pressure on him resulted in the goalkeeper kicking the ball straight to Corran Campbell who was around 25-yards out, but credit to the Northwest defence who swarmed around the Glenelg players as they tried to fashion a shot on goal. 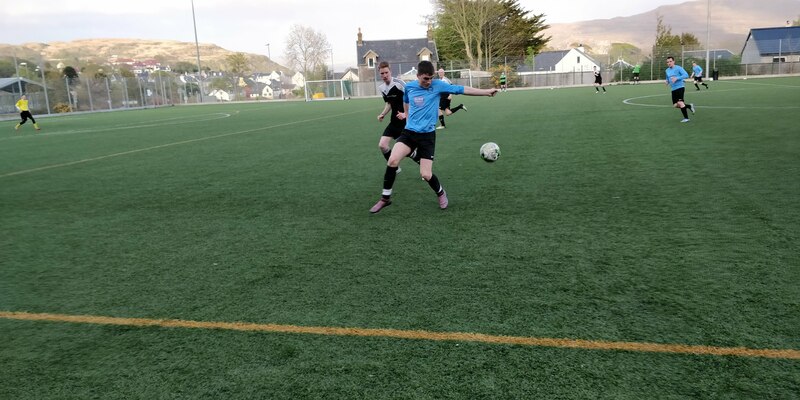 Glenelg’s Corran Campbell ( in black) challenges for possession with Peter MacCusbic of Northwest Skye. Peter MacCusbic showed great bravery to nip in before the onrushing Liam Campbell near the right touchline to flick the ball through to Iain MacLellan, unfortunately for the forward, he could only succeed in finding the side netting as he sought to test Cameron MacDonald from a tight angle. Alasdair Harvey proved to be an effective outlet for the visitors in the first half with some good hold-up play but cut a frustrated figure at times as the Northwest defence pushed forward to pressure the forward. Iain Beaton showed great anticipation and neat footwork to nick the ball from Harvey after William MacRae had done well to pick him out from deep. 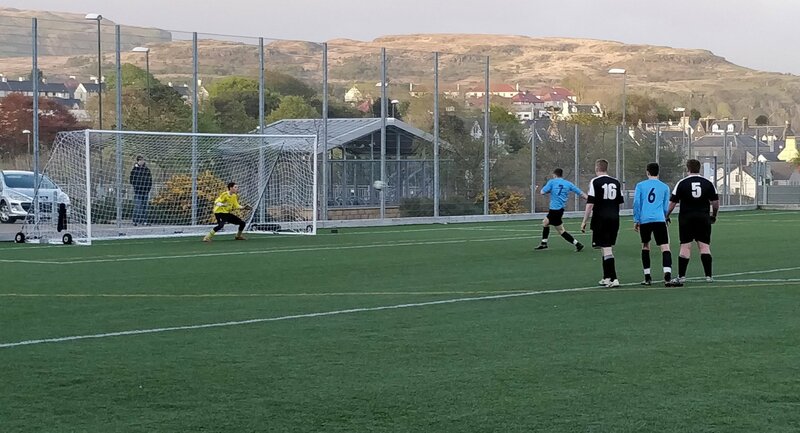 With half an hour gone and the game evenly poised, Glenelg had their goalkeeper MacDonald to thank for keeping the scores level with a couple of fantastic saves. A combination of quick footwork and poor pressing from the Glenelg defence allowed MacLellan to waltz his way through the visitors’ backline to within 10-yards of the goal, but just as it looked as though he would open the scoring, MacDonald showed David Dea-like reflexes to produce a fantastic right-foot save to block the effort. Ali Gillies pays close attention to Glenelg’s player-manager Alisdair Harvey. MacDonald then his repeated heroics just a few minutes later with another stop against MacLellan. 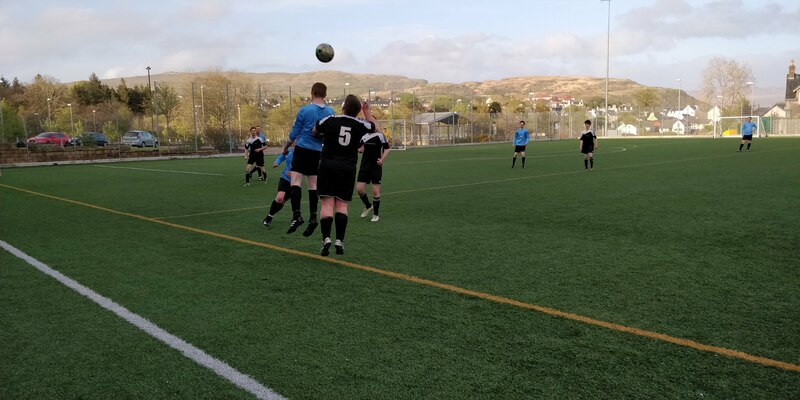 This time the goalkeeper struggled to clear an Alex MacDonald effort, but just as the ball broke to MacLellan at close range, MacDonald repositioned himself to make an excellent save at point-blank range to preserve parity once more. As the first half drew to a close both sides continued to create openings before the interval. 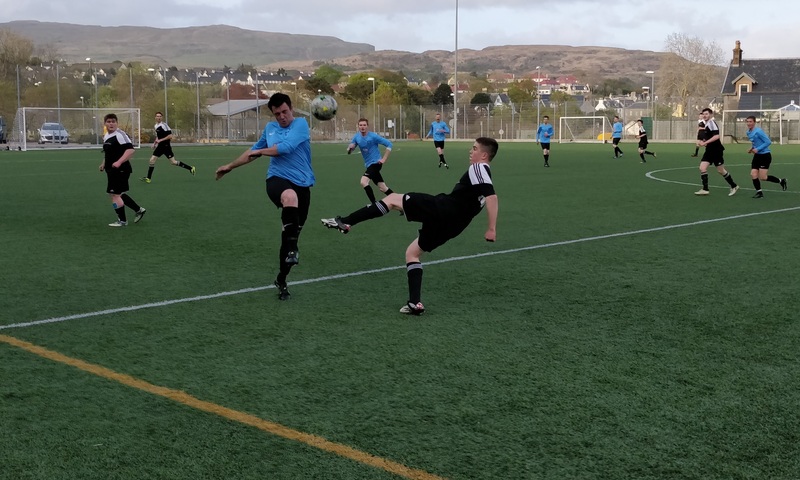 Northwest’s Ben Nicolson turned sharply from the right touchline and attempted a specular long-range effort – intended for the top corner – but the midfielder’s shot lacked accuracy and flew wide. Nicolson was involved again shortly after as he looked to orchestrate another attack. He did well to find MacCusbic down the right-side, but his teammate elected to shot from a wide position – and dragged his shot wide – when his fellow players were perhaps better-placed to test the goalkeeper. Glenelg continued to target Alasdair Harvey as their main attacking outlet as they looked to unsettle Northwest on the counterattack. The striker went close to breaking the deadlock following a quick one-two with David MacAskill but his shot from the edge of the box rose just over of the bar. While the first-half, for the most part, was evenly-matched, the second period was an altogether different affair as Northwest took the lead within a minute of the restart. Finding space around 25-yards out from the Glenelg goal, Ben Nicolson curled a superb right-foot shot into the top corner, leaving Cameron MacDonald helpless and his Northwest teammates jubilant. Gus MacDonald gave the Glenelg defence a torrid time in the second half. Glenelg’s Corran Campbell, for his part, was still buzzing around the home team’s defence, trying to drive his side forward but his attempt to lob Gillies from distance would prove to be indicative of his side’s fortunes in the second half as they would be restricted to half-chances at best. Although Northwest’s second goal would follow shortly, Glenelg did have their goalkeeper to thank yet again for keeping them in the game for the time being. Gus MacDonald look set to score after being played in by John Gillies but MacDonald sprung up defiantly to make a great block. With 20 minutes to go, Gus MacDonald did find the back of the net courtesy of some clumsy defending by Ali Nixon. The powerful centre-back bundled over John Gillies in the box, and MacDonald confidently dispatched the resulting spot-kick to make it 2-0. Gus MacDonald confidently dispatches Northwest’s second goal from the penalty spot. The hosts rounded off the scoring with a third goal just before the full-time whistle with a sweet strike from substitute John MacInnes, who arrowed in a powerful low-drive beyond MacDonald following a lay-off from Beaton. 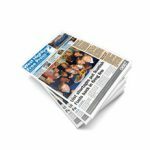 Glenelg faded after the break, having looked dangerous on the counter largely in the first-half, largely due to the tenacity of Corran Campbell and the endeavour of frontman Alasdair Harvey who dovetailed well with the pacey Joseph MacDonald. 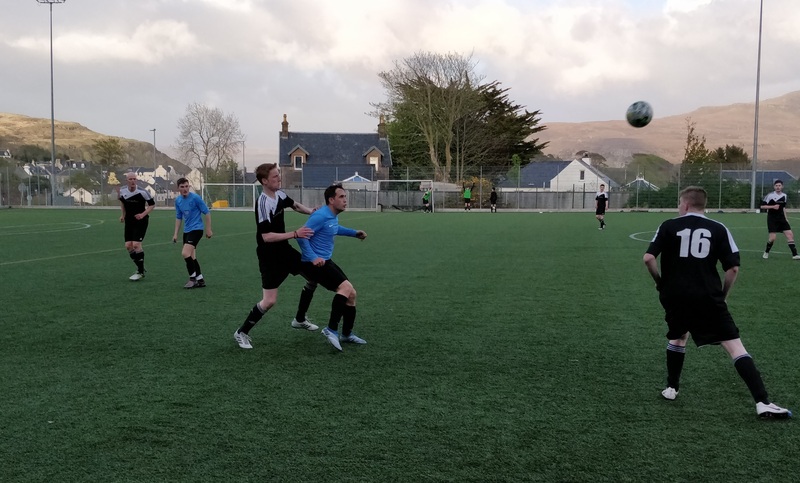 Northwest, conversely, grew in confidence following Nicolson’s excellent effort and quickly asserted control of the match thereafter and were, ultimately, well worthy of their win. While not among the goalscorers, MacLellan (in blue) led by example for Northwest with a robust and energetic display. He was constantly looking to get on the ball and occupied the attention of the Glenelg backline whilst also creating spaces for the likes of Cameron Campbell and his strike-partner MacDonald.